The much awaited zoom feature has finally been introduced in the latest GoPro Hero 6 Black, which was released in September. If you have been a GoPro user, you are already aware that this was a feature that was highly demanded by the GoPro fans but was missing in all the previous Hero series. The zoom feature is not super innovative however and is basic at best. In this article, I’m going to discuss with you in detail how to use the new GoPro zoom feature on the Hero6 Black and also the resolutions and frame rates that support this feature. The Hero 6 Black comes with three different fields of view, namely the Wide FOV, Medium FOV and Narrow FOV. The Wide field of view has a supporting value of 17.2 millimeter, while the Medium supports 21.9 millimeter and the Narrow supports 34.4 millimeter. The FOV options are almost all the same in the Hero 5 Black and the Hero 6 Black. 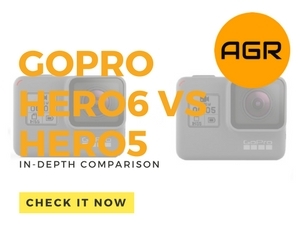 The only difference is that the Hero 5 also comes with the Narrow and the Medium field of views, which have been rightly removed as their purposes are now fulfilled by the all new zooming feature. To select the field of view you want to use, you just have to go through the respective options on the menu and select the one you need. There is also a quick way to change the FOV by tapping the bottom right of the LCD screen and getting access to the FOV menu. The Hero 6 is the first GoPro which supports 4K at 60 frames per second. This allows you to capture fast action motion, while still being super smooth. The 1080p at 240 fps is also another great introduction. However, not all the resolutions and frame rates support the newly released zoom feature of the Hero 6. This means that almost all the resolutions and frame rates in the new Hero 6 has support for the zoom feature, making it very handy. However, if you are planning to shoot and zoom in the latest 4K resolution, you are in for a disappointment as the 4K and the 4K 4:3 modes do not support the zoom feature natively. While this is a bummer, you can always work around this by using the crop feature like the aforementioned method to produce a zooming effect in the Hero 5. The mentioned resolutions are the only ones which support the zoom feature. Any other resolution will not support zooming in or out. To get started with the zooming, just pick the resolution you want to shoot in and your preferred field of view. Now that you have your camera working, you will a WIDE option on the right of your user interface. Just press on the WIDE option and a zooming slide will appear instantly. After selecting the zooming level, just double tap and the menu will exit. The zooming interface itself is quite simple. All you are required to zoom is to move your index finger along a slider on the screen for zooming in and zooming out, depending on which direction the slider has been moved. The touch zoom is quite pragmatic as it allows you to set the level of the zoom to exactly how you want, instead of preset zooming values which can be an obstacle during the professional shooting. Both the zooming position and the focal length is now in your control allowing you to take such precise shots, which were never possible in the previous GoPro series. While the older versions did not have a zoom feature, there was a work around that by using the crop feature to bring the focus closer to the scene. Do note that the zooming feature in the Hero 6 is not based in the lens itself, but is rather a digital feature. If you are a camera enthusiast, you would immediately recognize that this is a drawback. Due to the digital enlargement, the image size is increased but the image crispiness is affected. Zooming high also affects the clarity of the image sometimes and needs more stability in the grip. The loss in the image quality is quite evident when you shift from the standard view to the zoomed-in field of view. 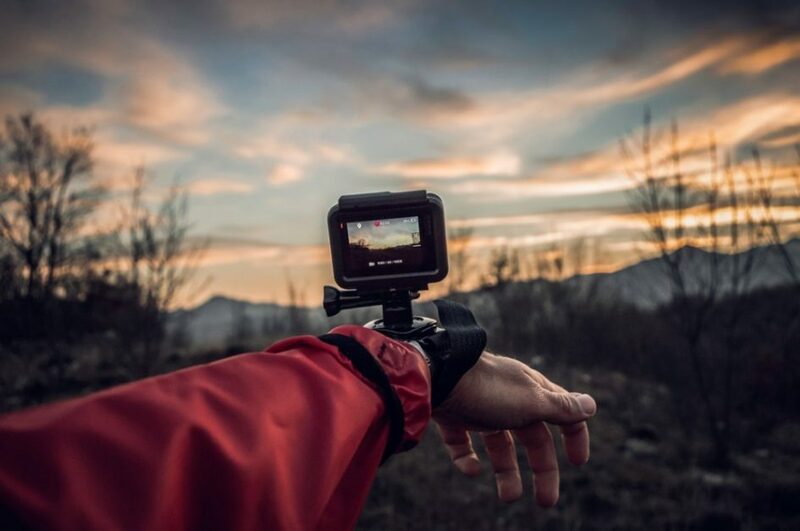 The contrast between the inbuilt zoom and the workaround method is that while using zoom, you will lose the fish-eye effect, which is noticeably one of the popular viewing interfaces in the GoPro. Unfortunately, the GoPro zoom feature is not available with all the resolutions and frame rates. We discuss this issue in the coming section. The Hero 6 has made a major mark in the GoPro Hero series with this zooming feature. This was one feature which had been introduced in competing action cameras, but was sorely being missed in the GoPro series. Fans and critics must be satisfied now that the zoom ability has been interlaced in the latest installment of the Hero series. However, do note that the GoPro zoom feature is not a complete product and looks like a work in progress right now. If you are expecting a DSLR like zooming effect, you will be disappointed as the zoom is digitally based instead of lens based. Moreover, since zooming is not a primary feature of a camera, we are still not sure how much will the people make use of it, given that they had already adapted to shoot without the zooming at all. We are pretty sure that the next generations of the Hero series will see much better zooming properties, but the current zoom feature is still nonetheless satisfactory. Hello, pretty satisfying article, i only have one question. Is this digital zoom 3x or 4x? How can this be measured in times (x)?